This lovely 3 bedroom apartment in the heart of Manly has everything you need for a perfect getaway! Overlooking Manly Corso, this 2nd floor apartment features 3 bedrooms, 3 bathrooms, large open plan kitchen and dining, and a tastefully furnished lounge room. 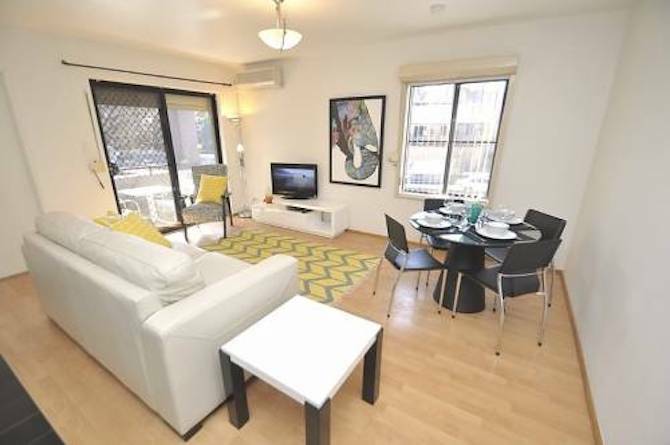 With open furnished balcony, and windows through out, the sun will shine through this apartment and you will fall into the laid-back atmosphere that is Manly and never want to leave. A 2 minute walk to the beach, cafe’s, bars and restaurants a stone’s throw away what more could you ask for! Minimum stay of 5 nights or more with some properties having minimum 3 or 6 month requirements.